Josh Flagg married his fiance in Beverly Hills, Calif., over the weekend. The 32-year-old "Million Dollar Listing Los Angeles" star tied the knot with Bobby Boyd at a lavish wedding Saturday at the Beverly Hills Hotel, according to Bravo's The Daily Dish. "The wedding was magical, we danced the night away with all of our closest family and friends," Flagg said in a statement. Flagg and Boyd said their vows in front of an enormous outdoor floral installation before holding their reception in the hotel ballroom. The couple had their first dance to the Etta James classic "At Last." "The Real Housewives of Beverly Hills" alum Eden Sassoon and makeup artist Giovanissa De Luca were among the guests to share posts from the wedding on Instagram. 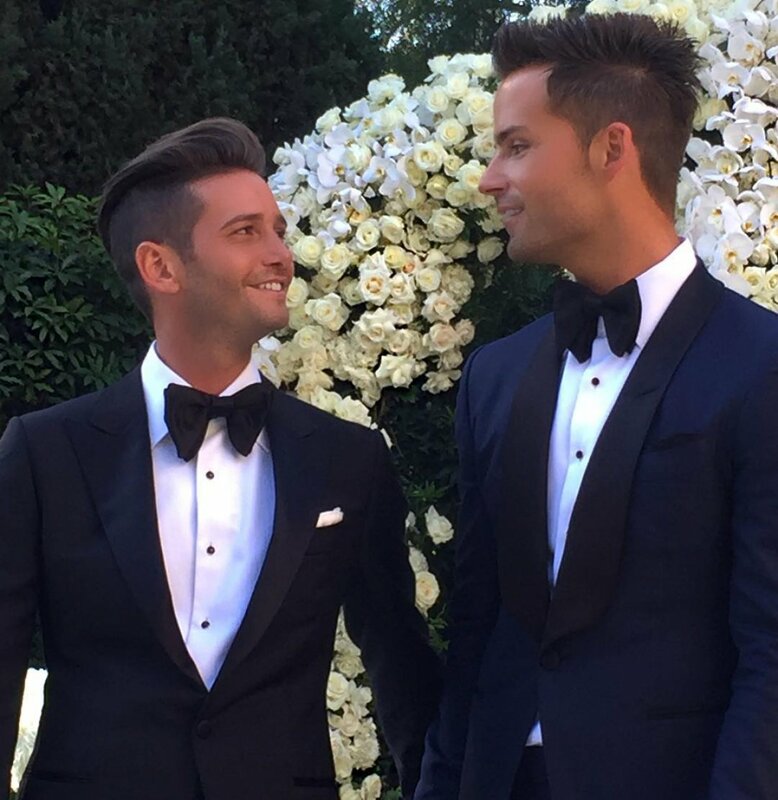 "Thank you @joshflagg1 @bboydla for inviting me in, to such a special occasion #marriage #love #family #friend A night never to forget .... @h_eiserman #video," Sassoon captioned a video of Flagg and Boyd's recessional. "Today I had the pleasure of being the makeup artist for two of the most amazing ppl for one of their most important days.. their wedding day @joshflagg1 @bboydla!" De Luca wrote alongside a photo of the couple. "Congratulations on your wedding, I wish you both eternal happiness." Flagg and Boyd got engaged in Paris in July 2016. Flagg co-stars with Madison Hildebrand, Josh Altman, James Harris and David Parnes on "Million Dollar Listing Los Angeles," which was renewed for a 10th season in April.